Today, Microsoft released its Skype Preview app for insider members on Android devices. Previously, the beta app was released as ‘Skype for Insiders’. Now, Skype Preview app is available on both Windows 10 and Android devices. 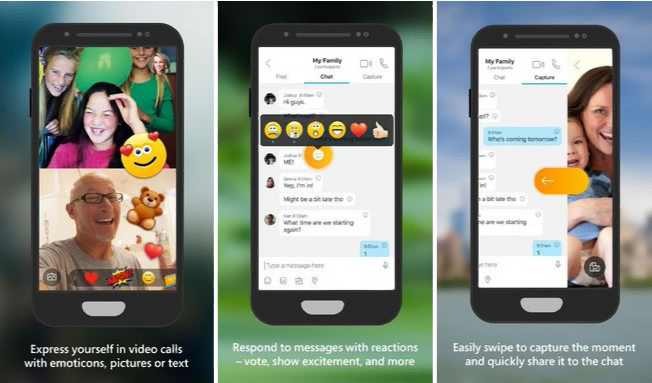 The latest Skype Preview app for Android brings many new features. However, there is no changelog, but it looks quite different from the regular Skype app, with a more distinct Snapchat vibe than a corporate messenger vibe. Also, there are emojis, pictures and text options inside video calls as well as reactions and votes to messages in chat. When inside a chat, swiping to the left or right launches a search or the camera, respectively. That lets you find restaurants, videos, links, news, or take spontaneous photos or videos to share with other participants. You will need to join the open beta program to download Skype Preview app for Android devices from the Play Store.